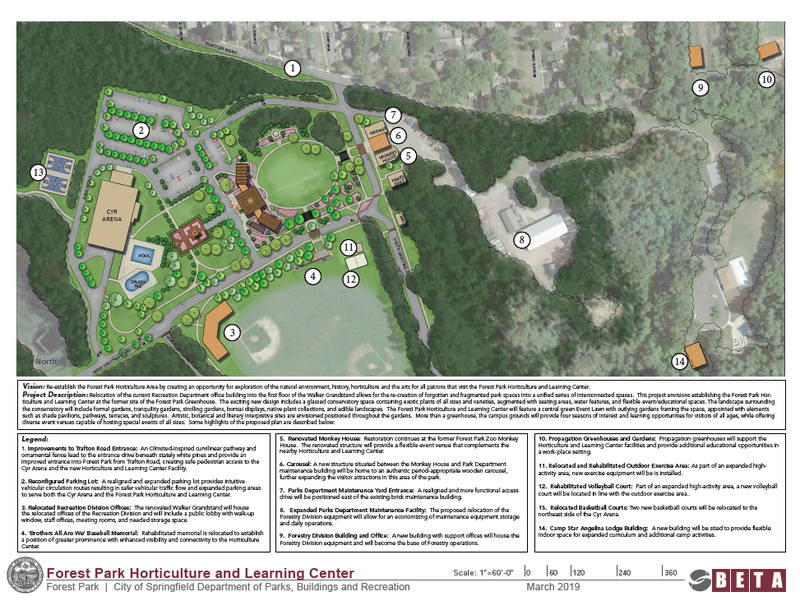 Mayor Domenic J. Sarno and Patrick J. Sullivan, Executive Director of Parks, Buildings and Recreation Management, presented to the Board of Park Commissioners for the Master Plan at Forest Park. The presentation of the Master Plan took place on Thursday, April 4, 2019 at 3:30 p.m. in the Forest Park Conference Room. During the past year the Mayor has expressed an interest to enhance upper Forest Park and to ensure the Horticulture area of the park be restored to its former splendor. 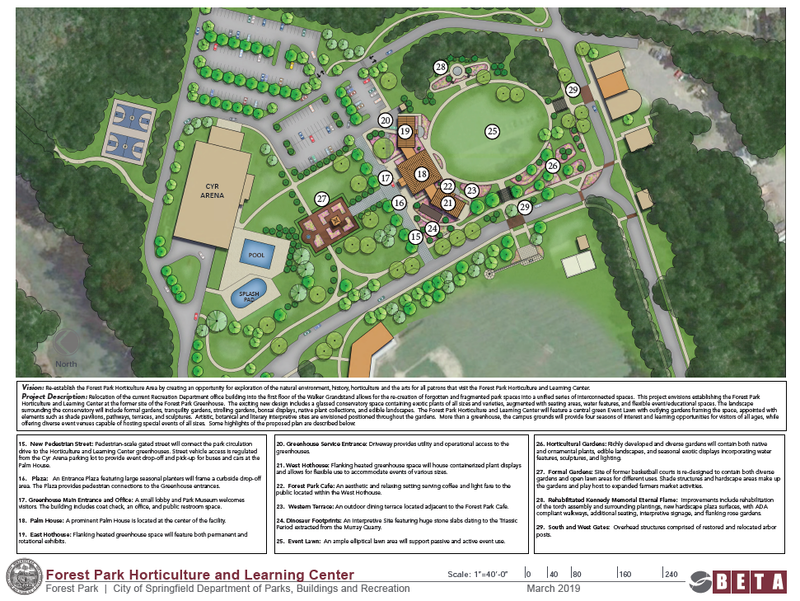 A schematic design overview is now complete and the Mayor and Director Sullivan want to share the plans with the Park Commission and residents of the city. The Mayor will be looking to key residents and the business community to work with the Park Commission in developing a phased approach to implement the Master Plan. The plan can be implemented over a five-year period and it is the goal to develop cost estimates and potential grant resources over the next four months. The Master Plan highlights include restoration of the former Monkey House and Brick Barn, a new Conservatory Greenhouse, and relocation of the Forestry and Recreation offices. The overall Master Plan ensures an improved tranquil setting for the Farmers’ Market at Cyr Arena parking lot by creating an improved entrance and pedestrian walks from Trafton Road. The plan also includes the final phase of the Camp STAR Angelina improvements with the rebuilding of a camp lodge, which replaces the former “A” Frame Lodge.